My friend Teresa has a blog called CRAZIE TOWN. She writes funny stories about her family. Lately, she’s also been writing about cleaning out her office. Mostly, she writes funny stories. I never write funny but I’d like to. So Theresa, you’ve prodded me. Here’s MY cleaning office story. I’d also like to steal her title and use it for my life right now, but she already has it. So I could say crazy family or crazy house or Just Crazy, which, given my life over the past month or two, seems the most appropriate.It began in the spring with Youngest Son talking about the necessity of leaving San Diego when his son, my grandson, is deployed to Japan. My daughter-in-law is working away from home right now and Youngest Son neither likes living alone nor does he like what it costs to live alone in San Diego. Could he come here if he needed to, he asked. Sure, we said. No problem. And like a log jam caught in spring’s thawing river ice, “Sure” got things moving. Tumbling, one could even say. When school was out, Oldest Son, who also lives with us (you will notice children remain nameless — their condition for me writing about them), flew out to San Diego to help Youngest Son move. We’d already begun cleaning and tossing in preparation for the move. It was like a giant house jigsaw puzzle. In order to make space for another bedroom, we had to move the Big Office which my husband and I share into my Writing Office, which we’ll now share, but in order to move into the Writing Office we had to move the sofa from the Writing Office to the basement, and in order to move the sofa to the basement, we had to clean the basement. Ergo. Puzzle making. We also had to clean out the garage so the items moved from San Diego could be stored in said garage until we completed all the rest of the shifting. I made an appointment with the city for Bulky Item pickup. That was good. We needed to toss some stuff. So we cleaned and tossed and made a pile of expendable things inside the backyard gate. Then Two Sons returned and offloaded all the stuff they brought back from San Diego into the cleaned garage and spent the night and left the next day for Florida because Youngest Son has stored household items from his move before moving to San Diego. Now we have boxes and bins and a motorcycle. And a very small garage. So while Two Sons were gone, Husband and I cleaned more. And since the Writing Office was empty of sofa and since we hadn’t filled it back up, it seemed a perfect time to do some painting. We began with a base coat. Notice the small rectangular shadowed spot at the bottom corner of the window. That’s a faceplate for a plug. I took said faceplate off so I could paint around it. Simple, right? A bee flew out. Okay…. That set off a flurry of activity. We shooed the bee out an opened window and put the faceplate back on and looked out the window you see here and a swarm of bees were lining up at the edge of the roof below the gutter as if it were a runway. It was. We had a wall full of bees. We could hear them if we lay an ear to the plaster wall. We hadn’t before but then who listens to a wall? We left the house in chaos and came back to chaos (the weekend in San Diego wonderful, the wedding wonderful, and if you’re interested there are photos on my Facebook page). 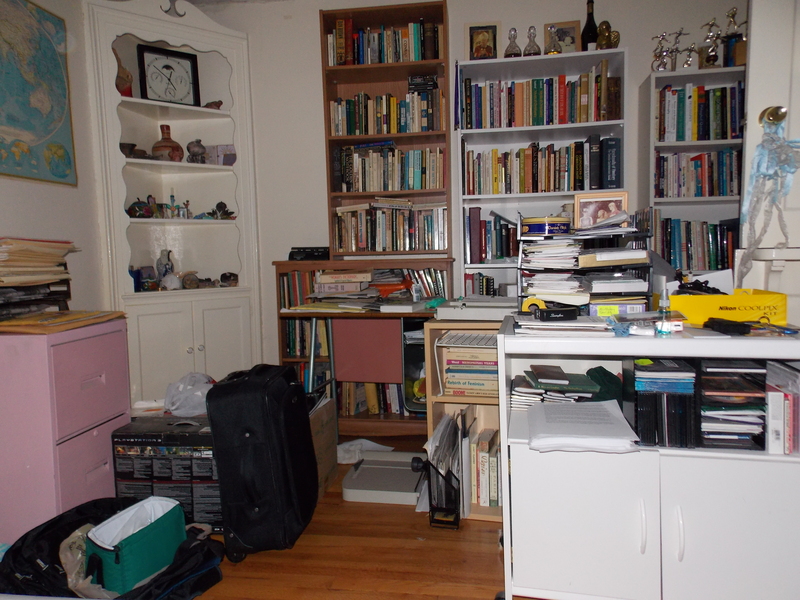 All the books, the ones we didn’t toss, are congregated on one wall of what is no longer the Big Office but Younger Son’s bedroom and all the file cabinets which have been cleaned and purged are stacked along the wall with the pieces of a desk, and I can’t find anything. And we have a room that has no wall against which nothing is stacked. I’d prefer a desk with computer. But not. But no bees. Or honey. No sons either. Two Sons went to Las Vegas with their dad, smart men, for a vacation. They will be back in a few days and in the meantime, we are resting. What more can we do? Except I can’t find the recently purchased bag of epsom salts to soak my resting body. As I said, I can’t find anything. Younger son is a builder and Elder Son is an electrician so he will run wiring along the bottom edge of the studs so I can have another outlet (sans bees we hope) and Younger Son will put up sheet rock and paint and so mostly right now Husband and I are resting and searching for things. 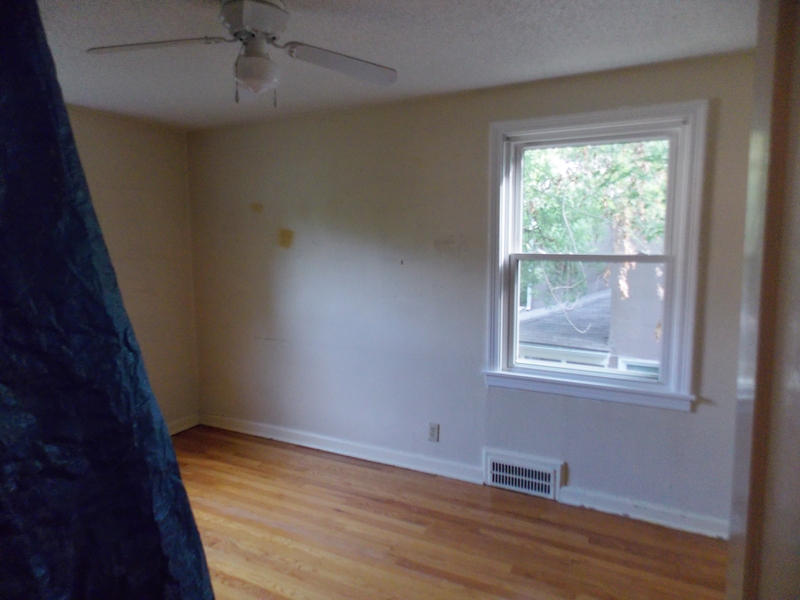 You don’t even want to see all the stuff stacked in our bedroom. I’ll spare you that shot. We dragged all the unnecessary items stacked against the backyard gate out to curbside and Bulky Item Pickup picked up today. That’s done. And since I don’t have anything else to do, I mean how much resting can you do?? 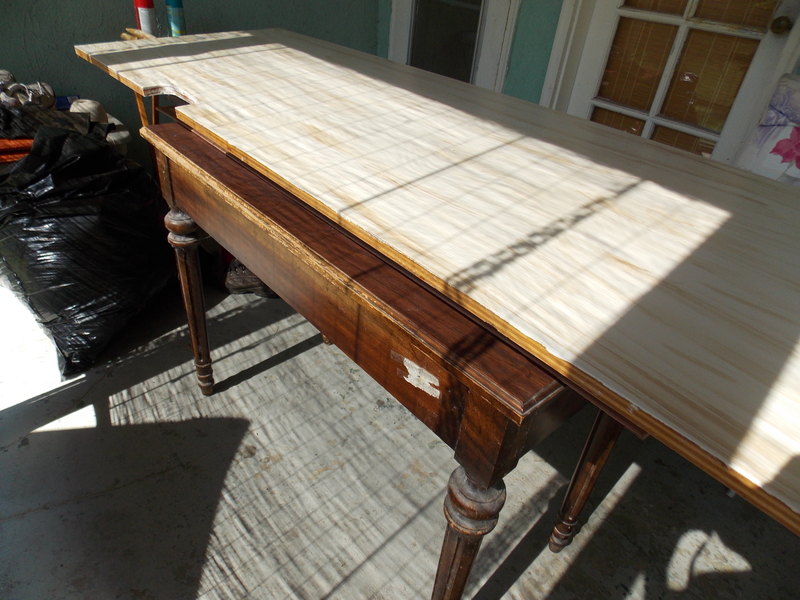 this seemed the perfect time to re-finish the old desk for the Writing Office. Might as well. It’s already on the back porch. So while we wait, I’ll just be crazy. Might as well. 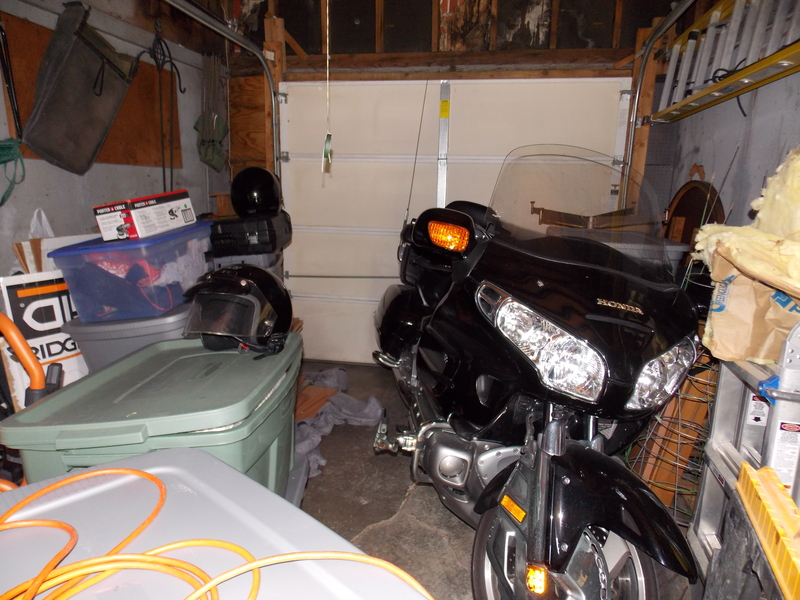 It passes the time. .
oh…now that’s really good news… only my son’s son’s motorcycle is here. too. It’s parked on the grass outside the back porch! It came because Michael was to deploy to Japan. That makes two motorcycles. I guess I can wait for a great-grandson…..
Dana, thanks so much for your wonderful post! I’m only now catching up with….well, life. Bees gone, wall here, life is good. “Who listens to a wall?” Well, I certainly will now. Sigh. One more thing to add to my list of OCD items each day. Great post by the way! Thanks! And thanks for teaching me. someone should commit us all for the crazie, crazie lives we lead – but they are all interesting too! thanks for the laughs, Janet. You too have a great sense of humor, ya know. Meanwhile, we have invited an 18 year old young woman to live with us (her parents have kicked her out to) and I’m in western KS with Mom who had a fall and is a bit shook up – but still walking, thank God! Yeah, but who would clean up the mess if they commit us all??? Hope Mom is doing better. Thanks, Monique! It’s taken some time, but things are slowing returning to whatever normal means these days, which, when you get right down to it, isn’t saying much. Maybe just a lower crazy hum. PS did you get to taste the honey? I bet it tasted of Intellectual Pursuits and Unfinished Dreams. Probably more like Unfinished Pursuits!!! 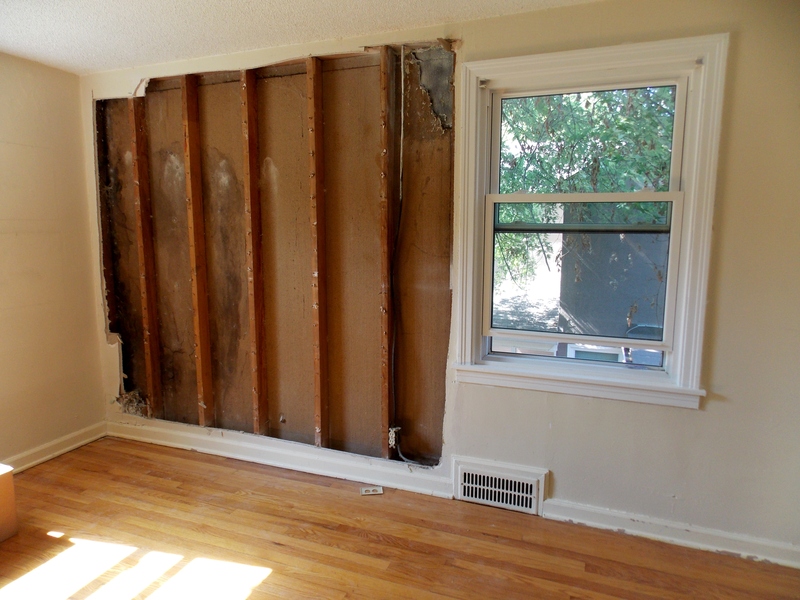 I am so relieved the Bee Boys did not leave all that luscious honey in the wall to rot, stink and draw ants/termites/mice…..ugh! …to say nothing of the honey rotting and turning into sugar acid and eating away the structure of the house….oh. Yes, that too. Ya got a point there…. seems refinishing the furniture fits right in though, doesn’t it??? Loved your comment. Thanks!